A new Nikon promo has started in the US. 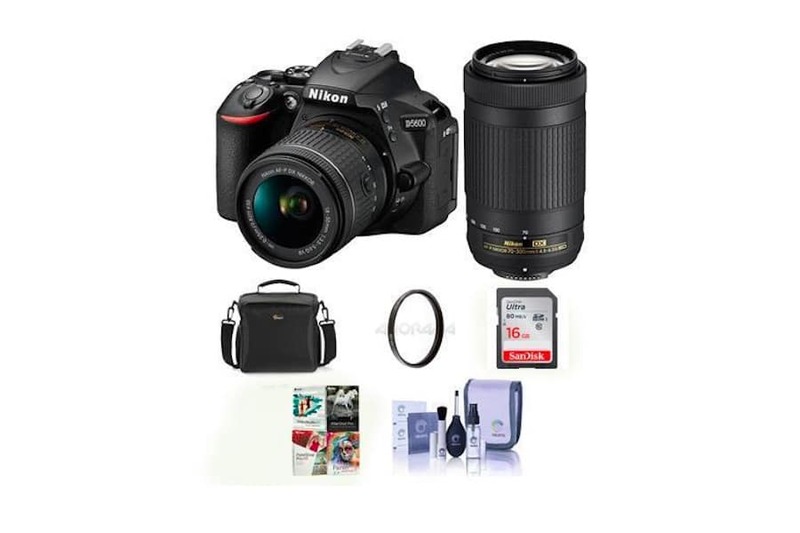 You can now buy Nikon D5600 DSLR camera with 18-55mm + 70-300mm lenses, free bag and memory card for $696.95. This is almost $350 off plus you get 2% back in rewards at some stores. This Value Bundle comes with a Nikon D5600, SanDisk Ultra UHS-1 SD, Lowepro Format 160 Camera Bag, Black, ProOPTIC Complete Optics Care and Cleaning Kit, Corel Software Kit and a Bower HD UV Filter. You can now buy Nikon D5600 DSLR camera with 18-55mm + 70-300mm lenses, free bag and memory card for $696.95. Check out Adorama | B&H Photo and Amazon stores.